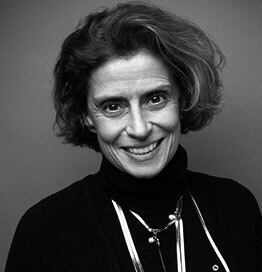 Clarisse REILLE is the Executive Director of the French Committee for Development and Promotion of the Clothing Industry (DEFI) since 2011. She is also a keynote speaker and an in depth specialist of the Fashion Industry. DEFI is the heart of the Fashion ecosystem and the only place where all the stakeholders meet and define the global strategy for Fashion in France. DEFI is mainly focused on sustaining young designers, supporting Savoir Faire, promoting Paris as the capital of Fashion and encouraging synergies between Innovation and Fashion. Graduate from Centrale Paris (a high level scientific Grande Ecole) and the National School of Administration (ENA), Clarisse worked both in public and private sectors. In the private sector, she had top management positions in various industries such as Finance, Health and Insurance. She turned around a medical diagnosis instrumentation company in Italy and then was Vice-President for international business and scientific development in the Biomérieux Group. Clarisse REILLE was a member of the Executive Board of CDR ENTREPRISES (a French Bank), then Managing Director of MARSH, the global leader in insurance broking and risk management. In the public sector, she was an advisor to the French Minister of Industry. She also wrote reports on Fashion and Consumer Goods before becoming the Executive Director of DEFI. Due to her dual experience and her knowledge of different worlds, she has always reconciled managerial excellence, meaningful achievements, connecting people and supporting innovation in all its dimensions..
As President of the Association “Grandes Ecoles au Féminin” (45 000 members,) she is dedicated to promoting women in the business world. Clarisse is also Knight in the Order of the Legion of Honor, Colonel in the Gendarmerie Civil Reserve, Officer in the National Order of Merit.